In my talk I shall present two case-studies, through which we can observe some characteristics of late-medieval female heresy. We can detect in both cases also the mixture of sainthood and heresy, and in the writings conserving the memory of the condemned persons, also a special form of cultural transfer. The first case-study is about Guglielma of Milan (+1281/82). She was of uncertain origin, living in Milan and venerated as a saint during her life-time, and also post mortem. However an inquisitorial trial in 1300/1301 condemned her memory and her followers as heretics – at least two of them were executed. The main official accusation was that her cult included a belief that she should have been a female incarnation of the Holy Spirit. My second case-study is about Marguerite Porete (+1310), condemned and burned as a heretic in Paris, because of her book, entitled The Mirror of Simple Souls. This book is part of the mystical literature, and Marguerite is considered as one of the most important and original female writers of this genre. The Mirror (written originally in the vernacular) was widely circulating in late-medieval West also in other languages. In both cases we can observe a Central European element: Guglielma was believed to be a Bohemian princess, and a later transformation of her memory links her to Hungary too. 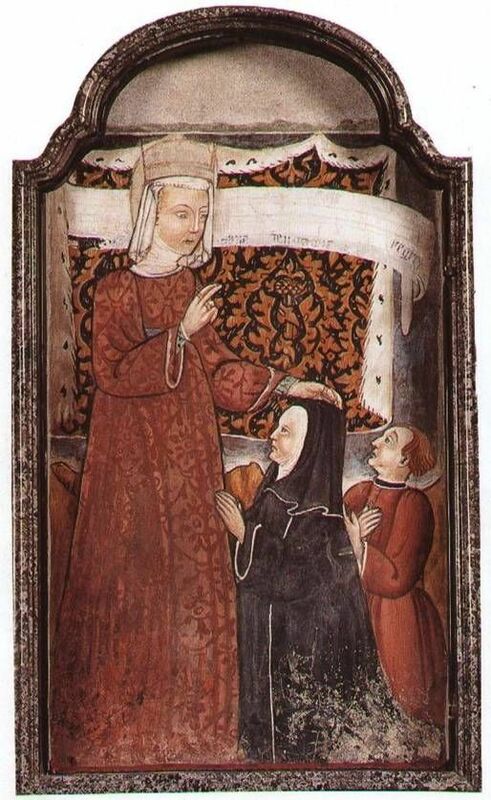 In Marguerite’s case three Italian manuscripts of her book were attributed to Margaret of Hungary (+1270). Dávid Falvay (MA in Medieval Studies at CEU: 2001, PhD in History: 2006 and Habilitation in Literature at the Eötvös Loránd University of Budapest (ELTE): 2018) teaches Italian cultural history, medieval literature and philology at ELTE. His research topics include medieval female religiosity, hagiography, and vernacular translations of devotional literature. In 2009 and in 2014/15 he was research fellow at the Harvard University Center for Italian Renaissance Studies, Villa i Tatti. His publications, along with a number of articles and book chapters in Italian and in English, includes a Hungarian monograph (Hungarian Dynastic Saints in Italian codices, 2013). He has participated at several international conferences in Europe, and the United States. Recently he has been working on the Italian version of the Miroir des simples âmes (he is the author of a chapter in the Brill Companion to Marguerite Porete and The Mirror of Simple Souls, 2017). His actual research topic has been the Italian version of the Meditationes Vitae Christi, his monograph on this topic is forthcoming in 2019 by the ISIME of Rome, and furthermore since 2018 he has been leading a research group at ELTE for the critical edition of the Italian version of this text.